what support and care services people need. how they need them to be provided. The support and services available at the moment. what is not available but needs to be. The County’s first Market Position Statement was published in November 2011. The current Market Position Statement can be found by clicking here. Following the 2016 Market Engagement Activity outlined below, it was recognised that more work is needed to reach the market shaping expectations as laid down in the Care Act, to promote co-production between the Council and providers, and to improve the engagement across the county. 36 action recommendations were identified in the 2016 workshops, and have formed the basis of a market engagement plan. In order to ensure the success of this plan, the Council are keen to work with providers and are already working on delivering the changes that providers called for. You can find the Task and Finish Group Discussion and Agreed Actions (The 36 action points) by clicking here. You will also find June and September's 2017 debriefing and an update for the 2017 Care Convention. A major part of market shaping and the maintenance of a current and effective Market Position Statement is effective engagement and joint working with care providers. As part of this process an Adult Care conference was held on the 7th of October hosted by NCC which explored the positive aspects of the Council’s working relationship with the care sector and also the issues affecting Joint relations. One of the key outcomes from the day was about care providers taking up opportunities to talk to other providers and commissioners, the people who buy care at Norfolk County Council, and play an active part in developing the County Council Market Position Statement. The following slides came from the adult care conference. Make sure your organisation is listed on the Norfolk Directory. Check out locality provider forums in your local area. 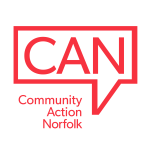 Keep up to date with newsletters from Norfolk Independent Care and Norfolk and Suffolk Care Support.